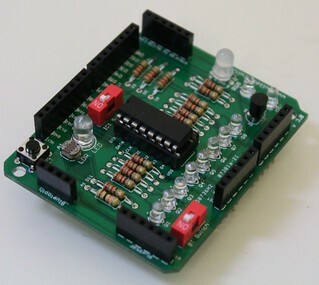 BUILDCIRCUIT.COM HAS RELEASED A DIY SHIELD FOR AMARINO, CHECK THIS OUT. If you have never worked with Amarino before, please visit www.amarino-toolkit.net and follow the instructions given on that site. In this application, you can set MAC ID of different Bluetooth modules. You don’t need to edit the source codes to change the MAC ID. c. Connect RGB LED to Arduino. Use D9 for RED, D10 for GREEN and D11 for BLUE.